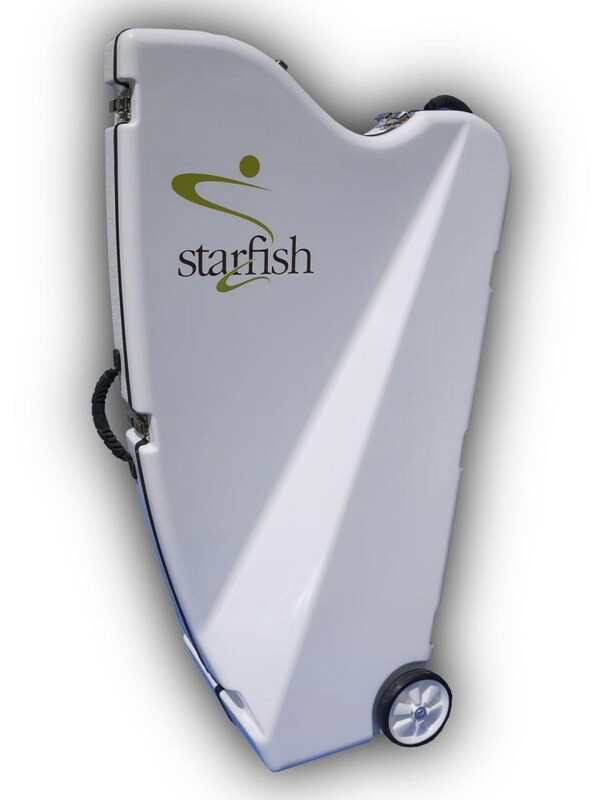 Our hard case was created for the professional performers that play our harps. 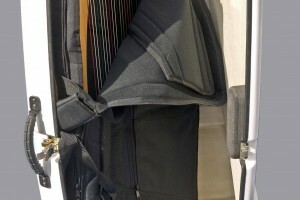 They told us they needed something that could easily fit in the back of a car, was lightweight, easy to use and could also withstand the rigours of airplane travel. 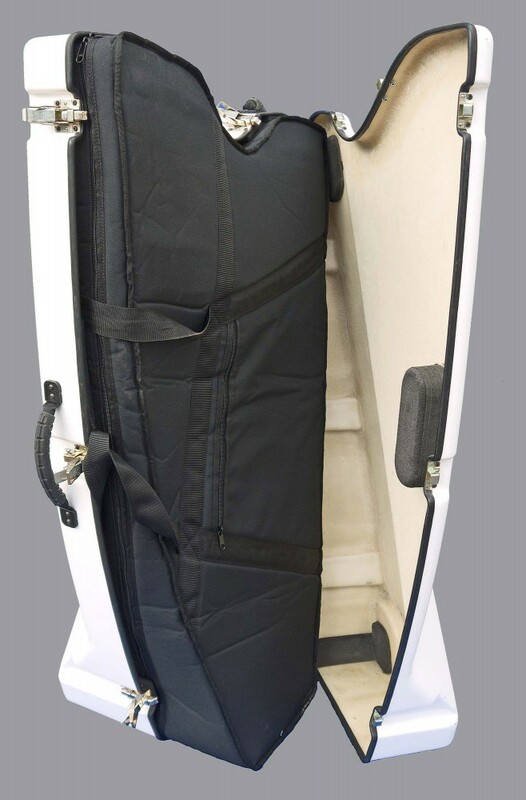 We’ve designed our hard case to be used with the soft case for the most flexible and convenient solution to the challenges of transporting a harp. 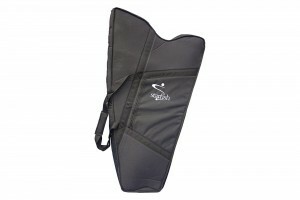 Just put your harp in its soft case and place it in the hard case – the padding in the hard case will keep your harp in position. 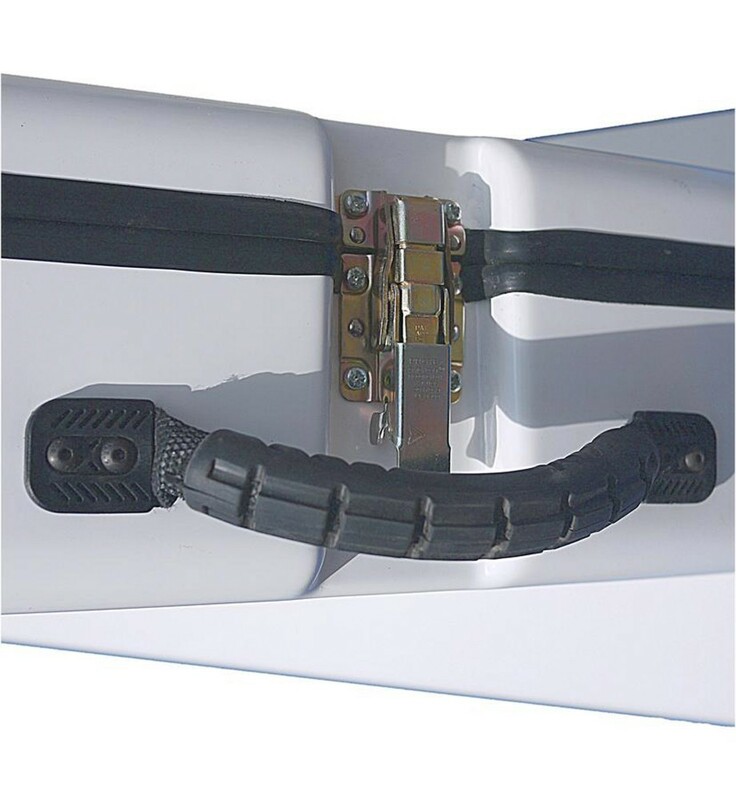 Our hard case is made from a particular type of GRP (glass reinforced plastic or fibreglass) that includes woven cloth in the material for excellent impact resistance. 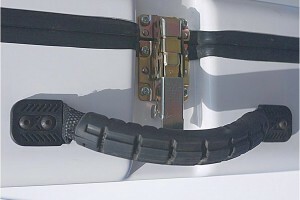 The case is made of two separate halves that clip together around the harp making it easy to use. 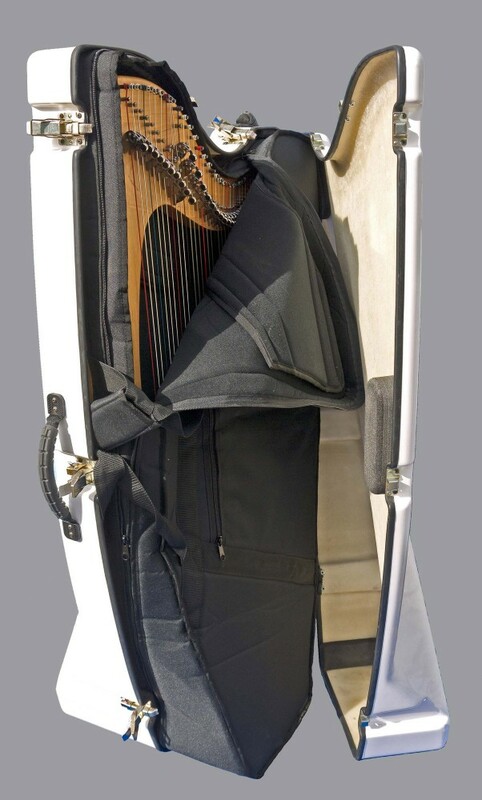 Partially-recessed wheels means the case is compact on the outside with optimum space for the harp inside. Two handles make it easier to, well, handle whether you’re wheeling the case through the airport or positioning it in the back seat or boot of the car. 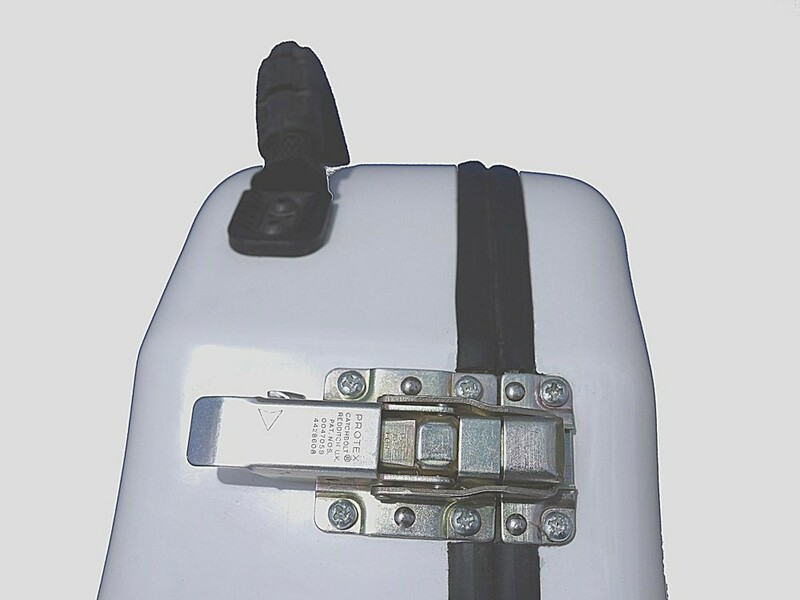 The catches are fully recessed to avoid damage and feature safety locks to stop the catches releasing accidentally. 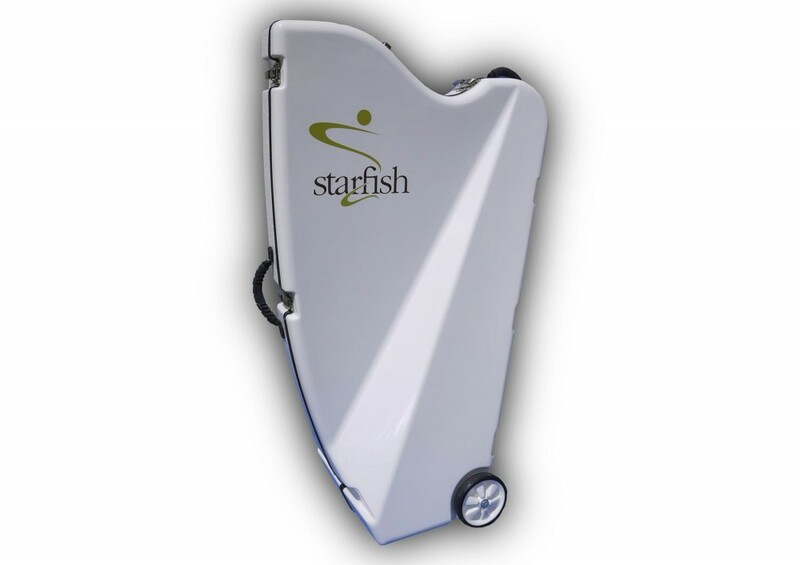 The hard case fits the Glenelle and Glencoe models only. 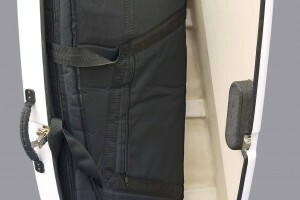 We also have hard cases available for short term hire – please contact us for details. 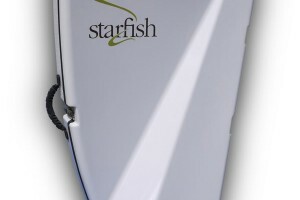 8.5kg (18 ½ lbs) approx. Combined weight with Glenelle: 19.5kgs (43lbs) approx..